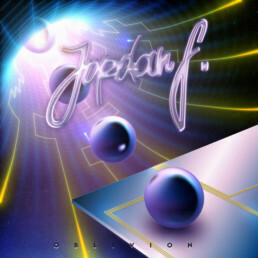 Jordan F is a producer from Sydney, Australia who makes 80’s electronic music with a modern fidelity. Starting out at the beginning of the second wave of dreamwave artists (the scene that had just come off MySpace) he was picked up by Rosso Corsa Records (home to Mitch Murder, Lazerhawk and Miami Nights 1984). 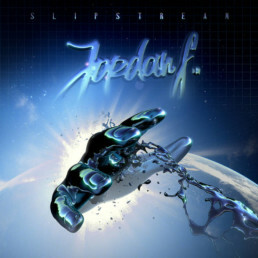 After flexing his musical muscles on numerous remixes and an EP, his debut album ‘Slipstream’ was finally released in 2014. This was followed up in quick succession with the release of his sophomore album ‘Timelines’ in 2016. Both releases strengthened Jordan’s reputation as a producer with a knack for retro flair without the constructions of genre. 2017 saw his music featured in the Netflix psychological thriller ‘Death Note’, while also releasing a collaboration EP with Sydney duo Vast Hill. In the wake of 2018 he released his third full length album ‘Oblivion’ – an adventure into spacey, ominous sounds and Lovecraftian horror. His commitment to the long form, where a pallet of sounds, styles and textures are explored to their fullest extent, has made for some of the most enjoyable synth LPs of recent years.